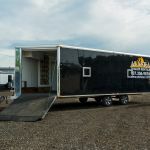 Companies that rent recreational vehicles, camping trailers, and trailers for hauling loads in Alaska. We offer one-way and round-trip motorhome rentals on several price and amenity scales to meet your needs. RV sales and rentals in the heart of SouthCentral Alaska. RV sales, service, and rentals located in the heart of SouthCentral Alaska. Cars, trucks, vans, SUVs, and motorhomes. Vehicles are non-smoking and well maintained. Affordable rates, customized packaged deals, and insurance billing for claims. Office hours are 8am-6pm, 7 days a week. Toll Free: (888)719-2880.